Launching his new report Unspoken Alternatives for Expensive Housing (co-produced by Prosper and The Australia Institute). Everyone needs somewhere to live. It is a simple fact. Australia’s economy keeps growing every year. As a nation, we are richer than any other time in our history. We also have the most expensive housing in the world. We step over rough sleepers on our commute. We talk about property investment over dinner. We care about housing affordability. We care more about housing affordability than we care about national security or public schools. Our leaders tell us they’re trying. Housing affordability is in every ten point plan. Housing affordability is in the preamble. Yet, the obvious solutions don’t materialise in policy. 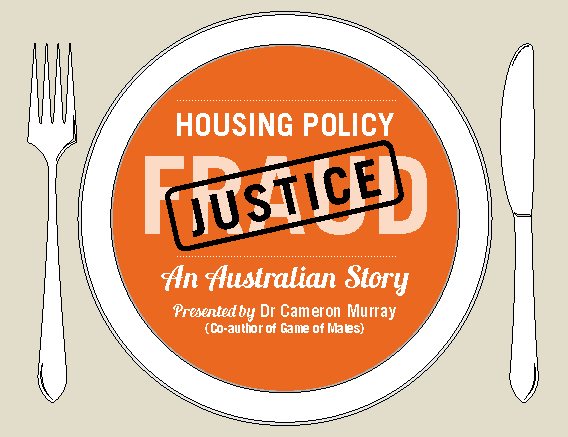 Join us as we dissect the contradictions of Australian housing policy with Dr Cameron Murray, economist and co-author of last year’s breakout book, The Game of Mates. Cameron will be launching his new report Unspoken Alternatives for Expensive Housing. The report looks at the economic advantages of genuine affordable housing policies currently in operation. Proactive policy is possible. Tickets: $40 Members, $60 non-members plus booking fee. A complimentary glass of shiraz upon arrival. Dress: Smart casual. Dinner from 6.45pm. Hi is there any way to watch the speech for free? There will be recordings of the speech, perhaps not the juicy Q & A! Subscribe to the Renegade Economists podcast. It’ll be nice if Prosper members could access past HGMD presentations, either at the office or online. I would love to watch a few prior to 2015. HI Paul, people can click on the Henry George Commemorative Dinner tag and find your way through to some talks. Perhaps we should have a dedicated page. One for the new upcoming website.